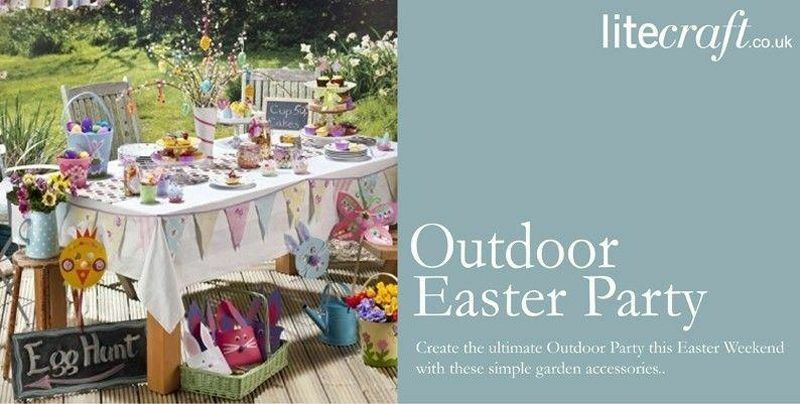 Get your garden and outdoor spaces looking ‘eggs-tra’ special this Easter weekend. 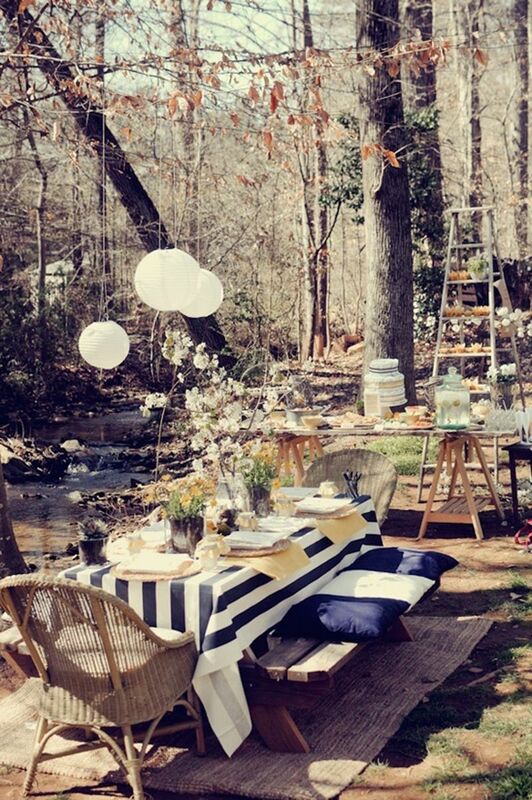 Half term is all about the great outdoors, we’re hoping the sun makes an appearance but if it doesn’t don’t fret just pull on your wellies and mac and venture outside. 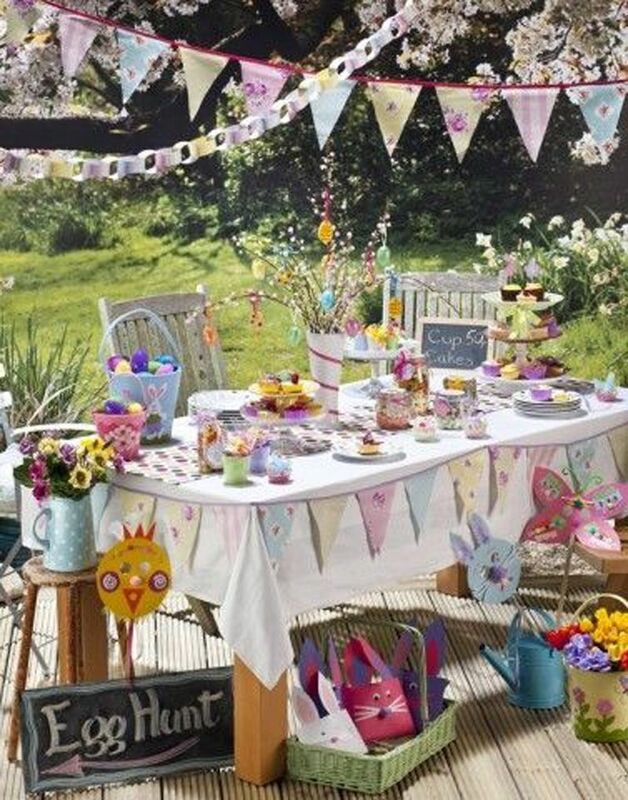 Set the scene this spring with your own Easter inspired garden party, think lots of colour, full of bloom, Easter egg hunts and whole lot more. First of all you need to think about shelter and warmth, the UK is not known for its tropical climate so be prepared for April showers with plenty of umbrellas and parasols. 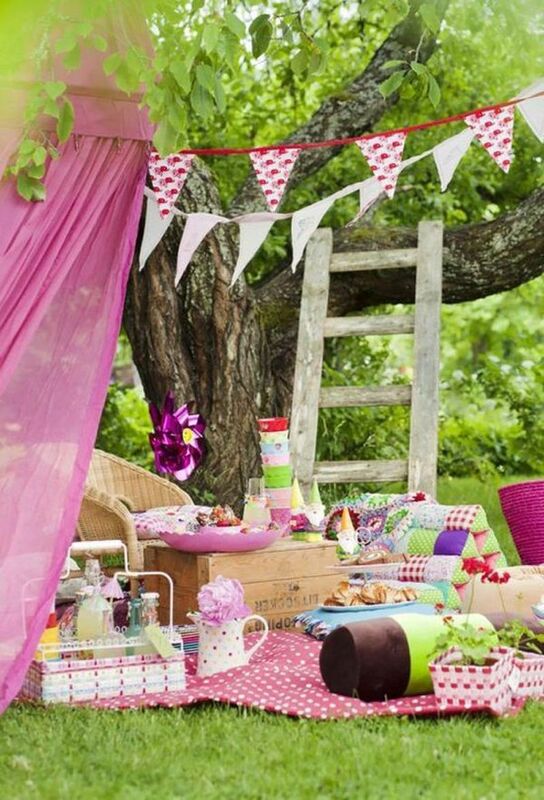 Jazz up these shelters with ribbons and bows and get in the party mood with some funky line lights, line and string lights are perfect for a quick fix of light and look great together with some Easter bunting. Our Multicoloured novelty star lights are ideal for twisting and weaving around fences, along parasol edges and dangling from trees, each of the 32 gel stars produce an opaque glow of red, blue, yellow and green. 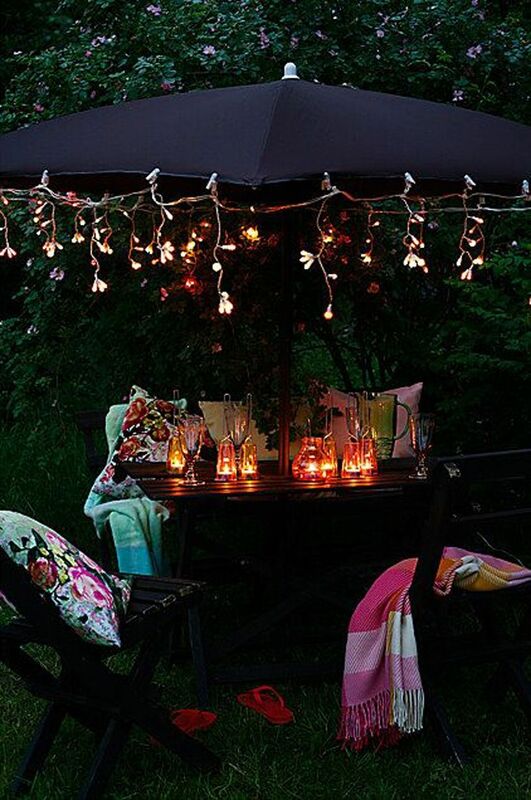 Or if you’re after an Easter evening for grown ups then opt for our White Star string lights, giving off a more subtle light these are perfect for late night alfresco dining. 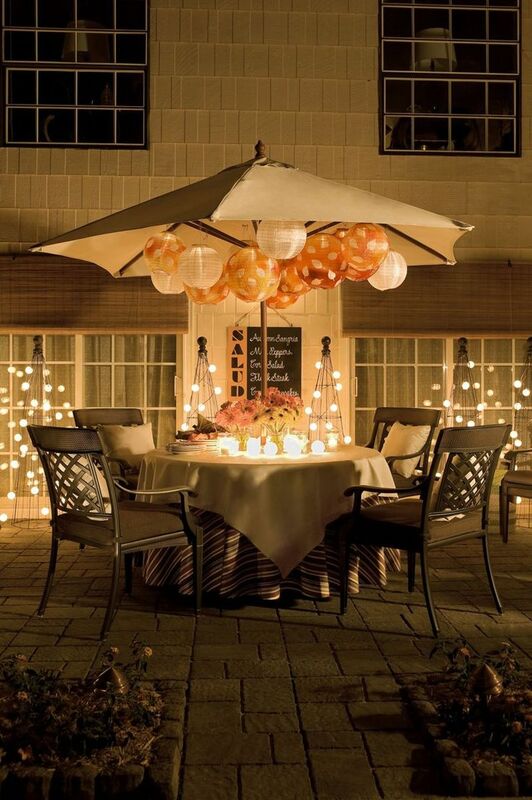 Further more, our clip on Parasol LED lights are a great way of creating a glowing light around your umbrellas, canopies and seating areas, just simply clip onto the edge of the fabric using the magnetic function and enjoy five hours of light, perfect for later on in the evening when the egg-hunters are snuggled up in bed. 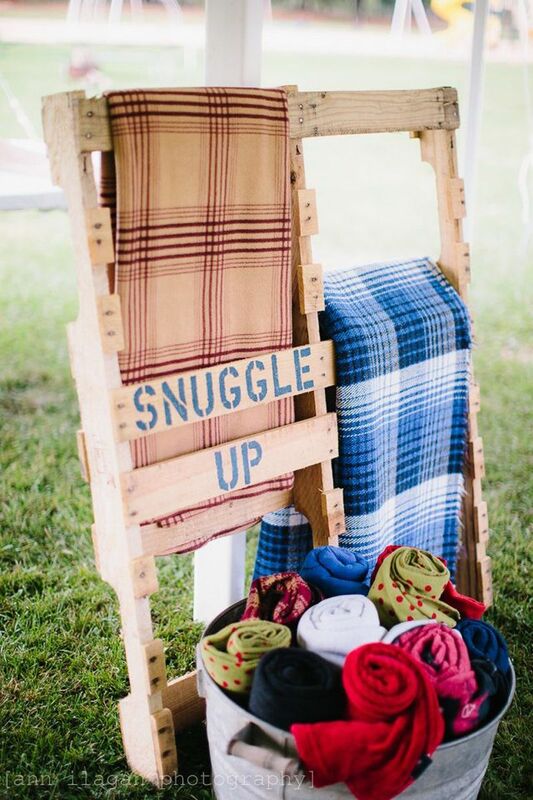 Prepare for a breezy banquet by stocking up on layers, keep a pile of blankets and throws on the patio or in a basket for when the day suddenly turns cooler. 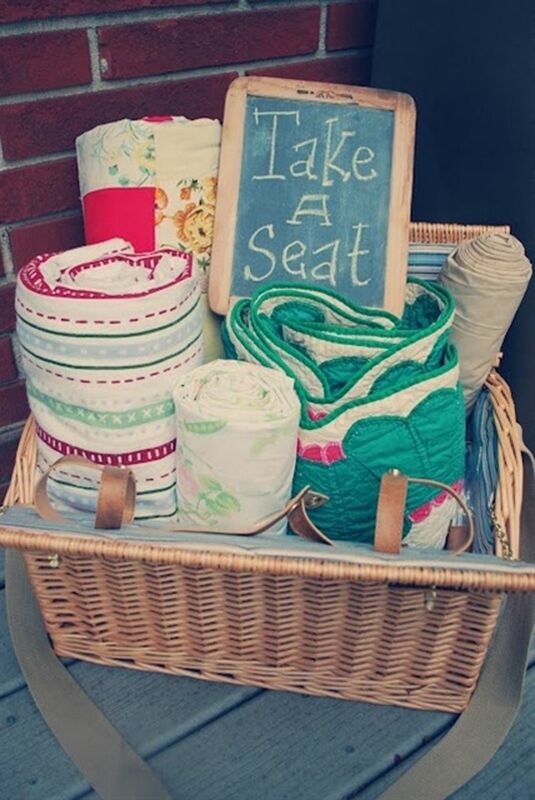 Choose vibrant prints with natural leaf and floral detail in pretty pastel colours to compliment plants and foliage, for extra comfort scatter cushions. Spike Lights are an ideal way to add a ‘guiding light’ to your party entrances, pathways and driveways and place near gateways for a warm welcome. 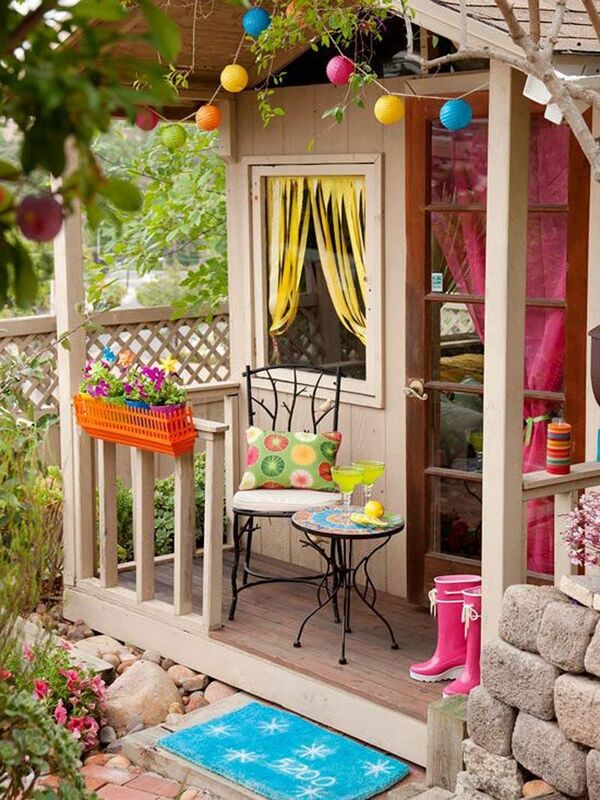 Simply embed into soft soil or grass either in a line or dotted around your outdoor spaces, you can also embed them into plant pots to accentuate shrubs and flowers. We have a variety of spike lights from stainless steel solar to colour changing pagoda style, most of our designs add a sleek and stylish ambience. 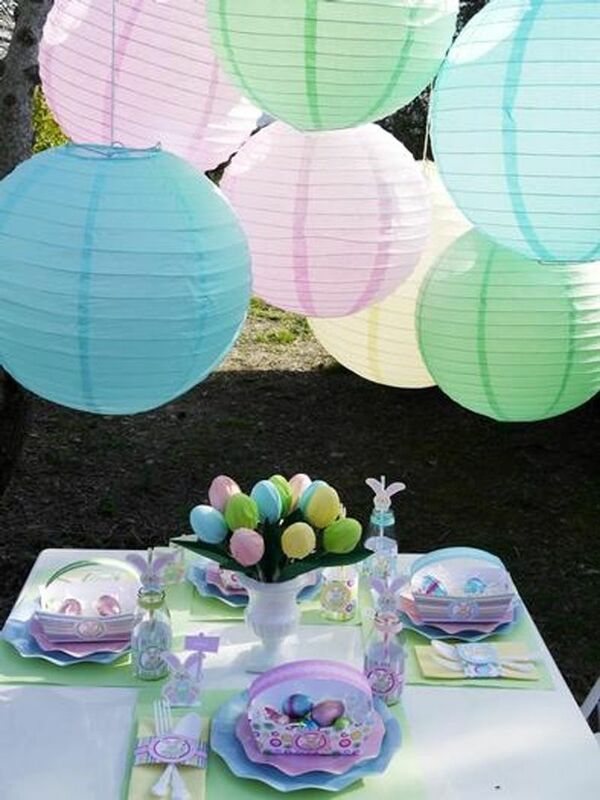 But we also offer a more funkier option for Easter parties, our Multi Coloured Cube LED stick lights boast a funky vibrant ambience of reds, greens and blues when lit for a more childlike and fun approach. 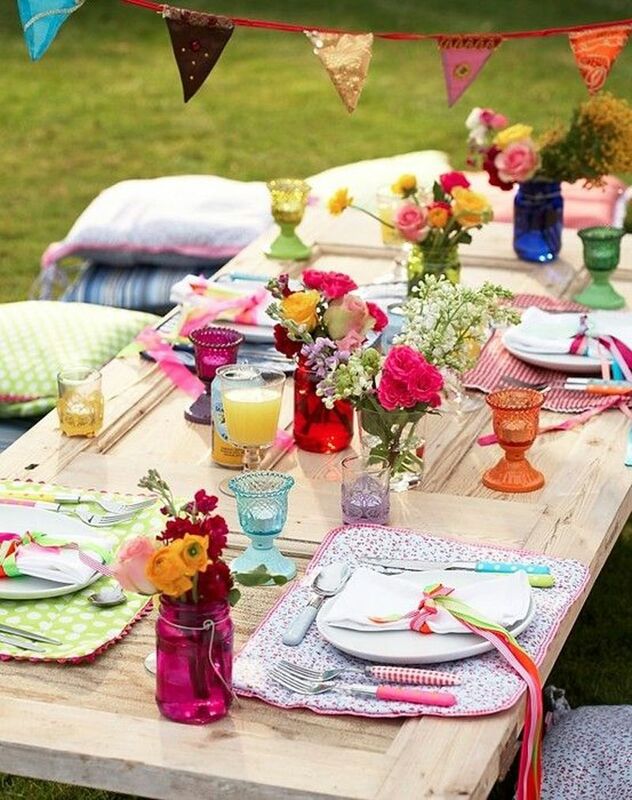 Prefect for adding a multicoloured ambience for outdoor parties and gatherings. 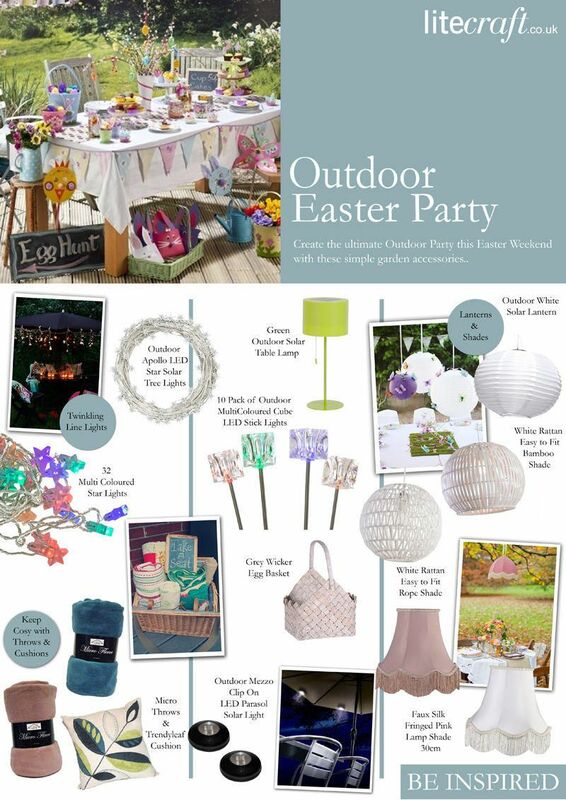 Our oriental inspired Solar Lantern is a perfect addition to any garden party whether it be an Easter inspired party or a chilled out summer gathering, these beautiful simple structures will create a whimsical and enchanting notion to your outdoor party this Easter. 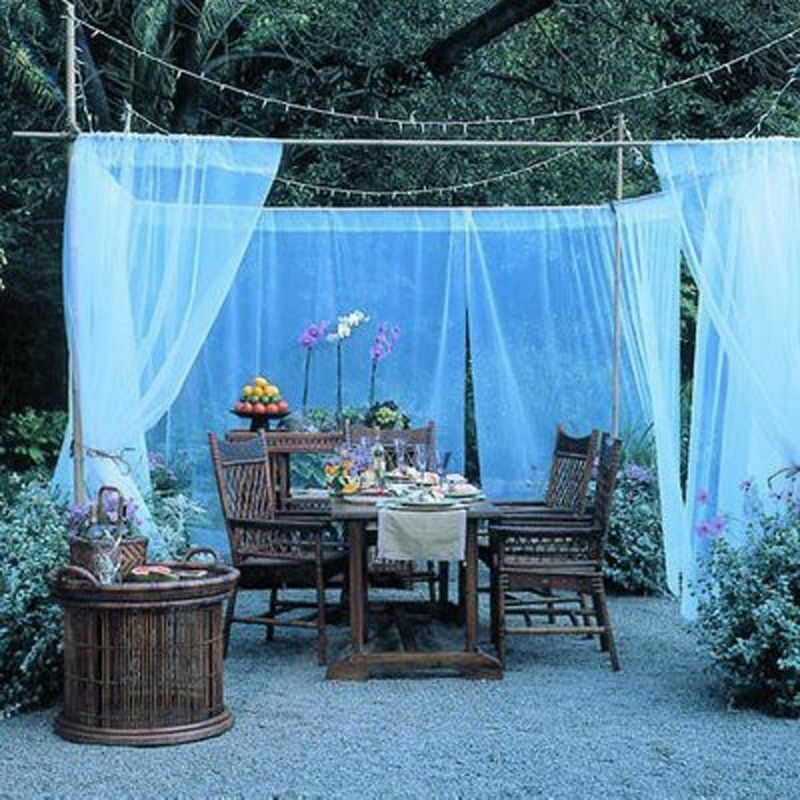 Hang in clusters in trees or singularly along porches and watch as they create a calming and subtle glow as they gently sway in the evening breeze. 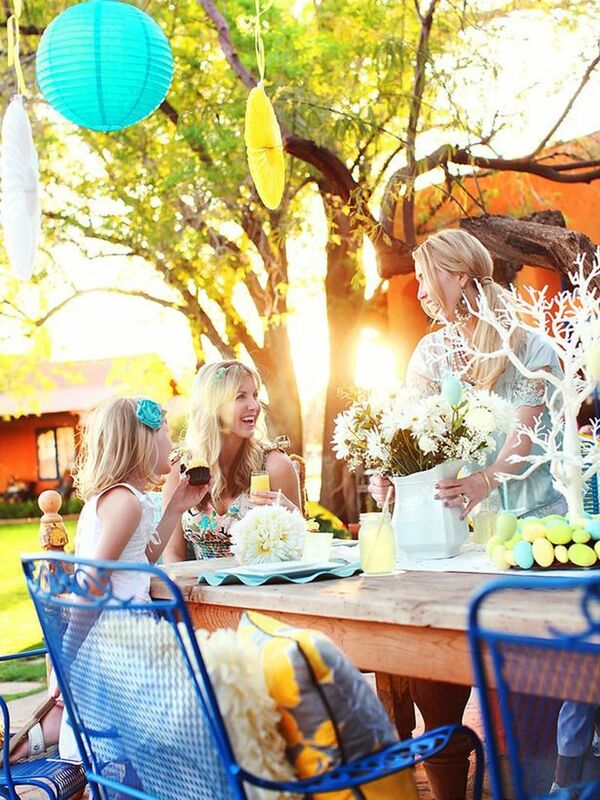 Make a solar lantern centrepiece by placing an outdoor dining table under a tree and hang a cluster of lanterns together with ribbons and Easter bunnies for the ultimate Easter tea party. 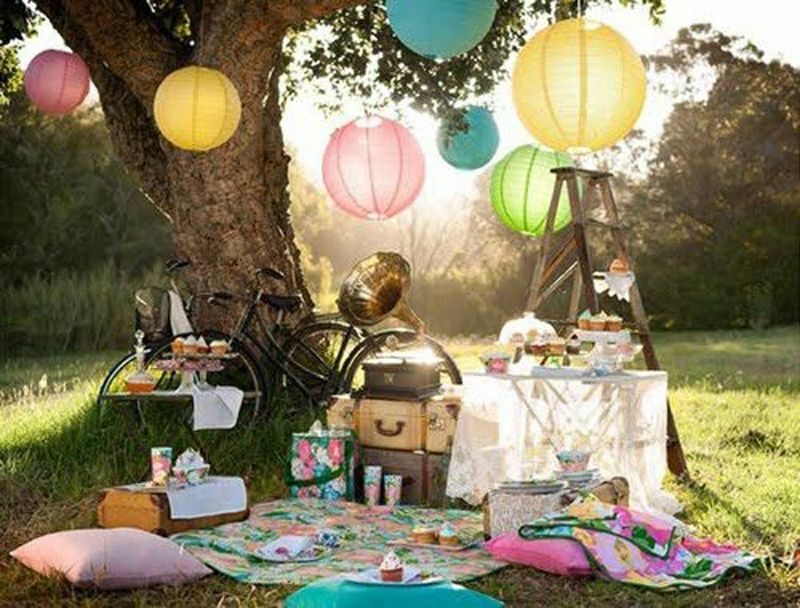 Hang early in the day so as to capture as much light as possible then sit back and enjoy a full evening of subtle ambience. 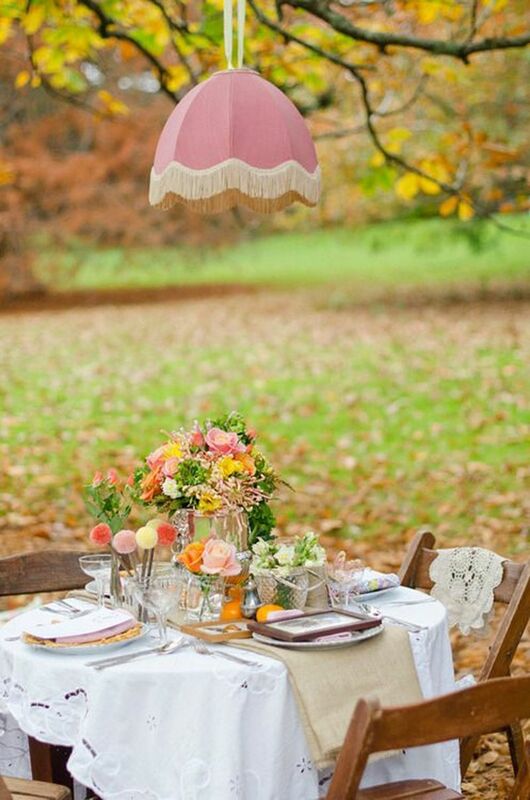 For a quirkier styled Easter party hang vintage lamp shades from tree branches with coloured ribbon. 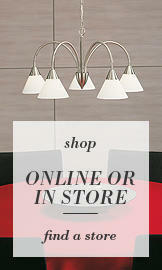 They may not necessarily produce any light but they make a great focal point.